Chemicals or Vapor Trails? Either Way Those Lines in the Sky are Bad News! 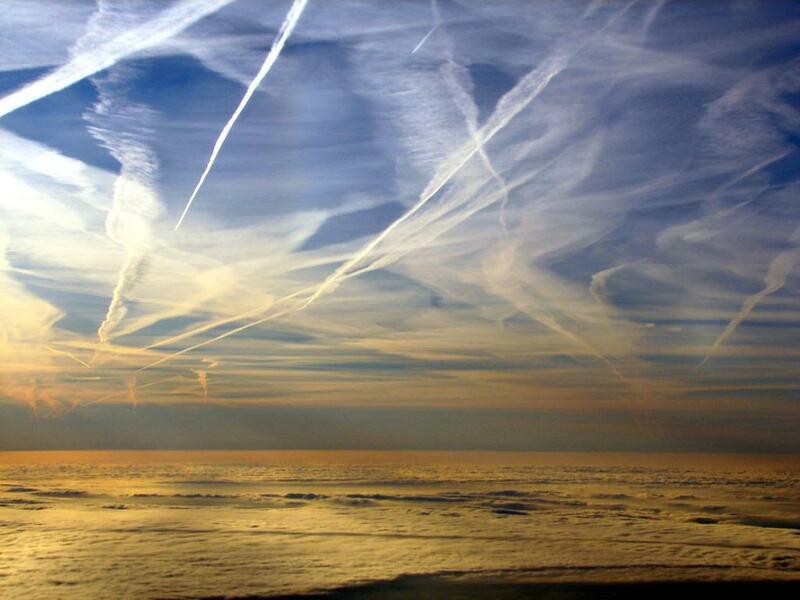 Chemtrails are phenomena that people come across on a daily basis. With the amount of planes that crisscross the sky it is almost impossible to go a day without seeing a long white line in the sky. Just what they are though is the source of an intense and often angry debate that has been raging for years. There are two explanations for what exactly these white lines in the sky are. They are either part of an incredible conspiracy to control the population or control the weather, or they are simply condensation trails coming off high speed planes. Both sides have logical arguments and evidence to back them up and, while there seems to be no middle ground in the debate, no matter what they turn out to be it is bad news for the environment. Full post: Chemicals or Vapor Trails? Either Way Those Lines in the Sky are Bad News!